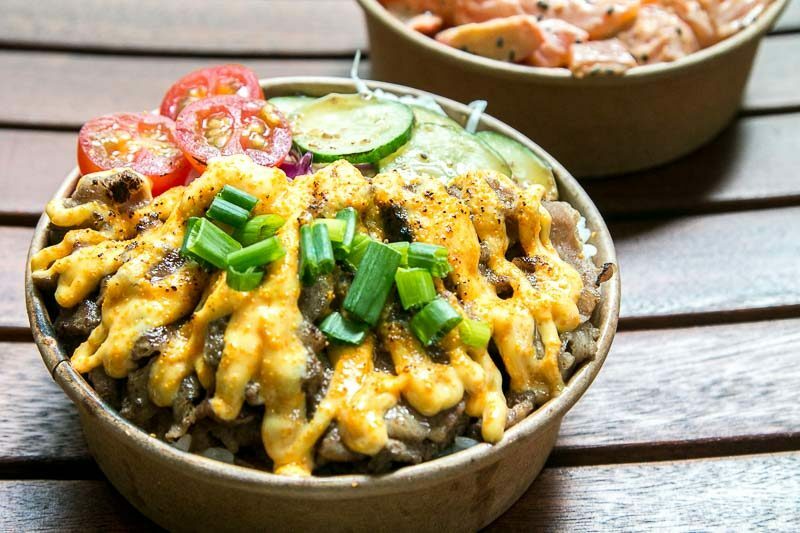 The invasion of rice bowls has infiltrated countless Instagram accounts and has prevailed as one of the top choices for a quick lunch during our busy day. 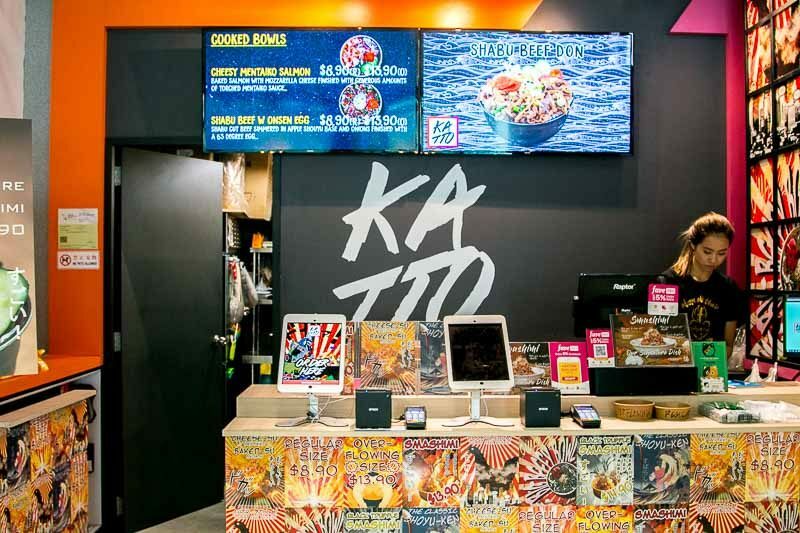 To feed your social media obsession as well as your hungry bellies, Katto has now opened a third outlet in Frasers Tower. 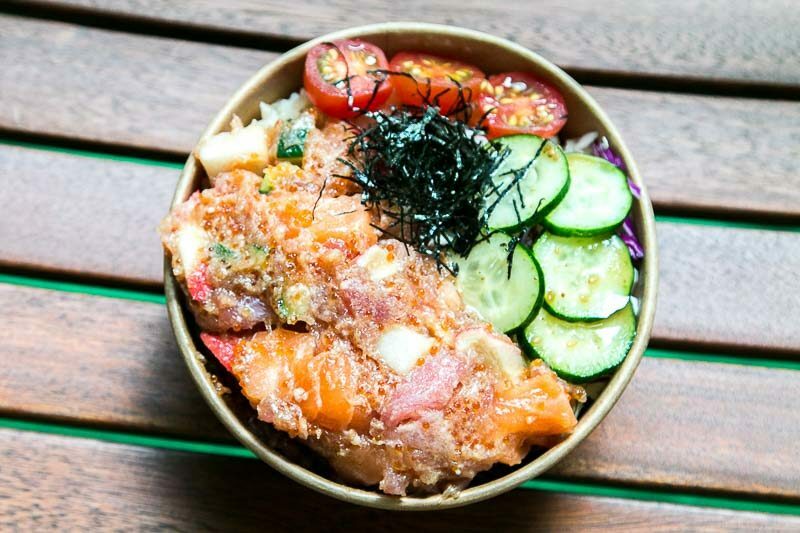 It only operates as a kiosk with a small seating area available to diners, but their sashimi rice bowls are anything but ordinary. 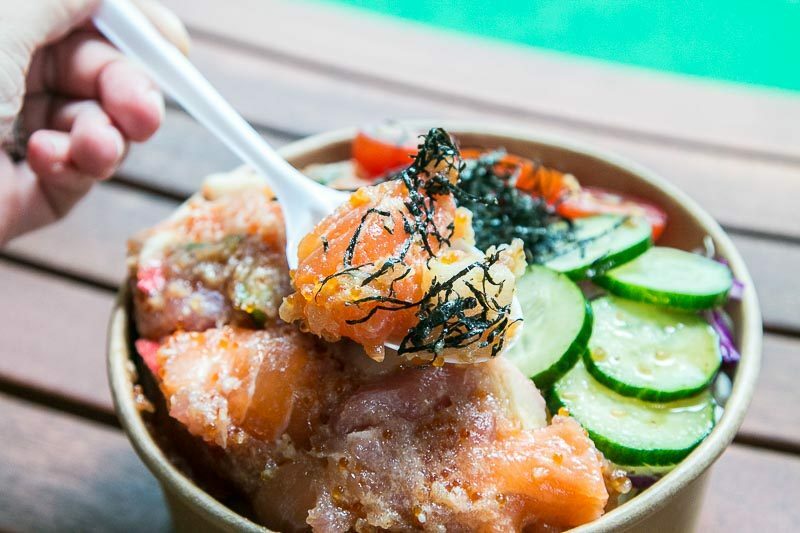 Their latest creation, the Signature Original Smashimi (S$13.90), is chock-full of various raw fish and ingredients (salmon, tuna, swordfish, crab sticks, negitoro and tobiko), paired with wasabi, cucumber, seaweed and ikura. You get to choose your base of either Japanese brown rice, Japanese sushi rice or cabbage salad. Personally, I prefer my sashimi a little firmer, dressed in as little as possible, topped with a hefty dose of wasabi. Using that as a point of comparison, the raw fish here was a tad mushy and had lost a significant amount of its natural sweetness in this decadent bowl. It was unfortunate, as I did enjoy the variety of ingredients that a single serving of the Smashimi entails. To be fair, I also loved the impeccable freshness of the ingredients and the touch of saltiness that the ikura added. Prefer your fish cooked? 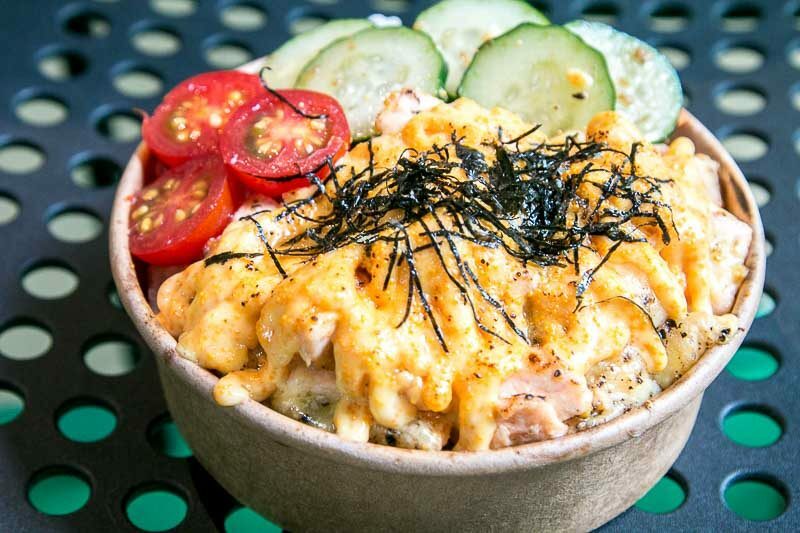 Then appease your growling tummy with the Mentai Salmon (S$8.90 for regular, S$13.90 for overflowing). I’m extremely biased towards mentai, with its irresistible creaminess coupled with a salty tang. The version here was impeccable; I wish I could’ve had double the portion of mentai salmon and lessen the rice. In fact, there was a slight cheese-like element to the mentai that made it much more alluring. The salmon itself wasn’t dry, but I would’ve liked some wasabi on the side to cut through the fattiness of the mentai and to rate this salmon bowl as near-perfect. If you want to spice things up, there’s also the Spicy Mayo (S$8.90 for regular, S$13.90 for overflowing) which packed a decent punch in terms of spiciness. For someone who loves a good tingle with her meals, this one adequately satisfied me. There was also a trace of smokiness (I assume from the sesame seeds), which added another layer of complexity to the bowl. It was what made this dish stand out the most, in my opinion. If you’re craving more meat in your meal, then I highly recommend the Mentai Shabu Beef (S$8.90 for regular, S$13.90 for overflowing). It’s quite literally the best of both worlds for me as I love beef and as I’ve mentioned, I adore mentai. The beef is sliced thinly, so no need to worry about having to struggle with chewing. The luscious mentai sauce generously coated the beef, which might be a sore point for some, especially those who enjoy the pure taste of beef on its own. 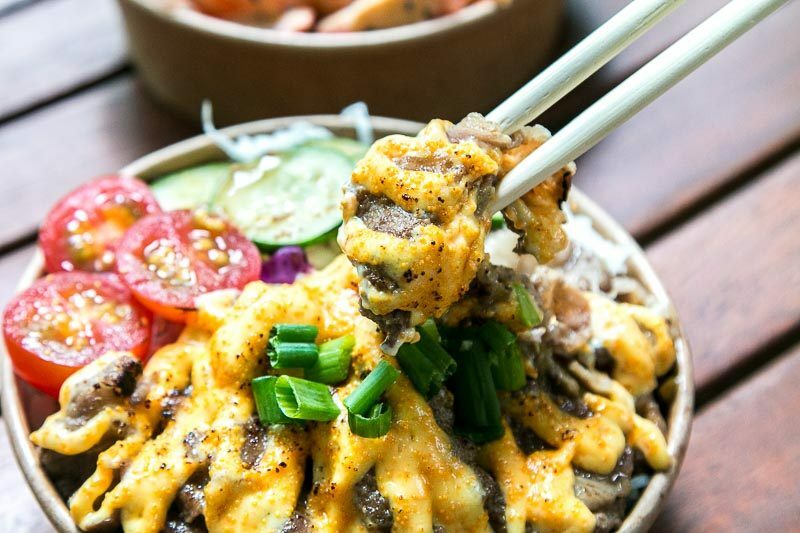 It’s definitely one of the more indulgent bowls that Katto has to offer, so if you’re feeling exceptionally hungry, this one should be your pick. 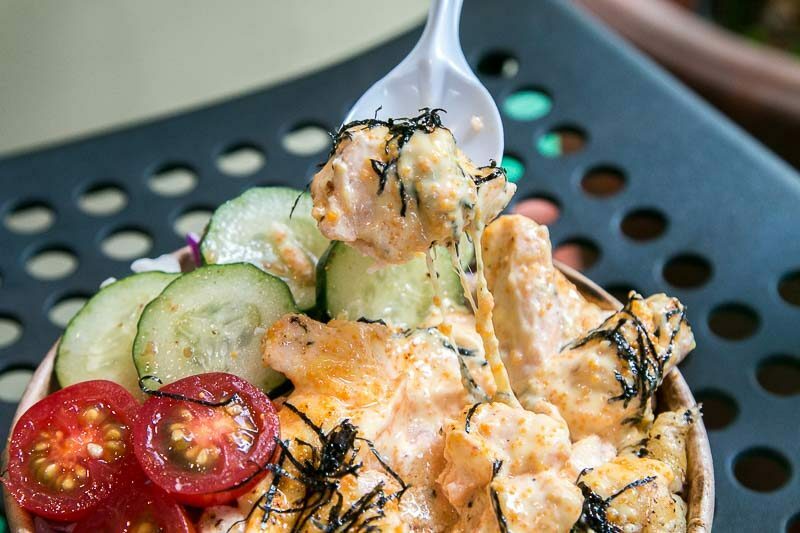 Although Katto’s menu is lean, their food speaks volumes in terms of taste and value. The portions are indeed liberal, and the produce they use is top-notch. I am especially fond of their mentai sauce, which I cannot get enough of. Hands down, one of the best I’ve tasted for sure. 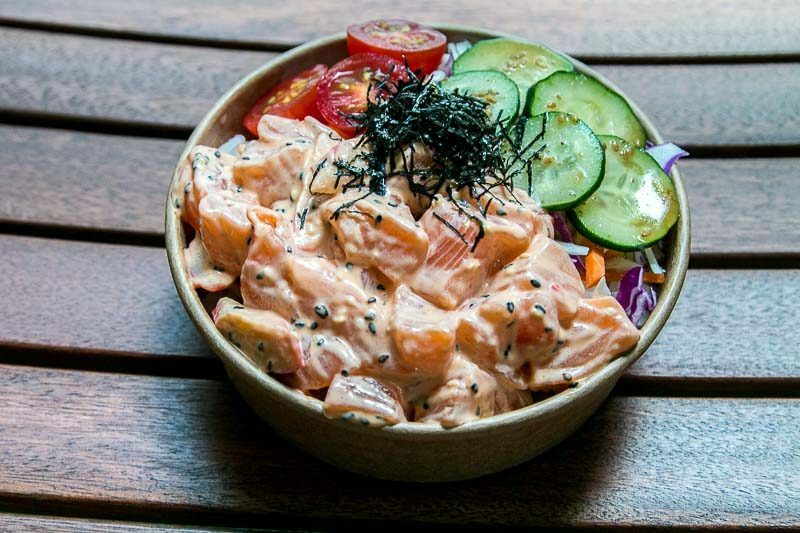 With three outlets now around the island — Fusionopolis, Vivocity and now Frasers Tower — you’re that much closer to one of the most affordable and irresistibly delicious sashimi bowls in town. *This post is brought to you in partnership with Katto.